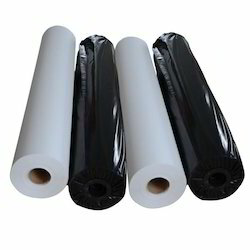 Our range of products include sublimation paper 54", sublimation roll 63", a3 sublimation paper, transfer papers cut sheet, dye sublimation papers 13 x 19 and dye sublimation transfer papers. Dye sublimation transfer paper we refer is is the carrier for the dye sublimation ink to be brought to your item.With it, you can workwork clearly and precisely and sublimation paper needs to hold the image well and release the ink easily.It is worth mentioned that Sublimation papers have been tested and worked successfully on most brands of inkjet printing. 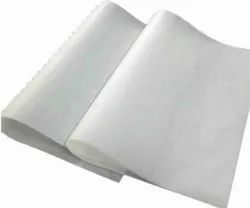 However,what is high tacky sublimation paper?The high quality full sticky paper has an adequate volume of stickness on the whole paper surface which couples stably the fabric and sublimation paper while heat pressing process. We are engaged in offering A3 Paper to our clients. Our storage capacity is very big. We haveour own brands that have been exported word widely and warmly welcomed. Our sublimation paper is developed for inkjet Machines, , Ink-jet Printers. Being one of the eminent names of the business, we bring forth Sublimation Transfer Papers which is made available in a varied range of sizes. 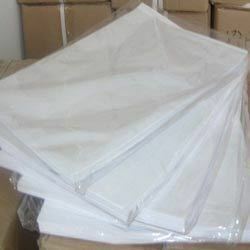 Used for mouse pads, pillowcases, coated mugs, ceramic plates, CD boxes, key buckles and puzzles, these papers are applauded for their lightweight and good drying time. 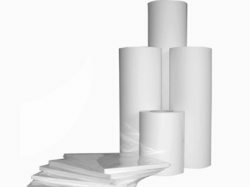 sublimation papers are provided in standardized packaging in order to prevent moisture. We are considered a trustworthy name in the field that engages in offering a massive compilation of Dye Sublimation Papers. Known for their excellent transferred optical density and excellent drying time, these papers are massively acclaimed in the business. It is because of the excellent printing quality, that these papers are vastly demanded among our customers. Ours is a renowned name, engaged in trading and supplying a vast assemblage of Dye Sublimation Transfer Papers that are provided in standardized packaging. Owing to the reduced wet cockling ability, their dimensional stability under heavy ink loads can be ensured. Made available in numerous specifications, these sublimation papers are highly acclaimed for their high transfer rate and optimum finishing. A4/A3 sublimation heat transfer paper The TruPix brand, from Sawgrass, is designed to work perfectly with your Artainium UV+, SubliJetIQ or Rotech inks. Available in 3 different sizes in sheet or roll. In sheet form each pack contains 100 sheets. 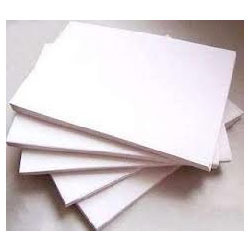 We are a preeminent organization that is involved in supplying, importing, exporting, wholesaling, trading and distributing a wide array of Sublimation Papers. The range made available by us is extensively used to transfer the image onto fabric. Post-procurement, these papers are stringently inspected by quality controllers on certain parameters in order to rule out every possibility of flaw. Our clients can avail from us a high quality Paper A/3 Size. These papers find exhaustive application in offset printing, letter press printing, writing and high speed copying. 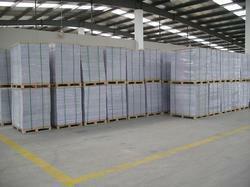 We provide our range of paper at a reasonable price range and is highly appreciated by our client base. 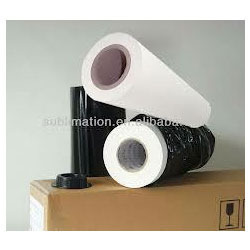 We are a stalwart industry manufacturing a wide range of Sublimation Roll & Paper. The offered product is made under the strict guidance of dexterous experts who have years of experience in this domain. Apart from this, this product is composed of quality grade raw material, that are as per the standard quality norms. Sublimation roll: Size 63" X 100 Mts. 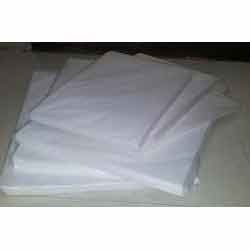 Holding vast experience in this domain, we are offering a range of Transfer Paper, that has been sourced form trusted vendors and assures its superior quality and finish. These are used in various. Product offered by us widely used for decorating non ceramic decals such as tattoos and advertisement. Looking for Sublimation Papers ?